All photos: Diego Imprenta except for thos in the update at the bottom of the post. 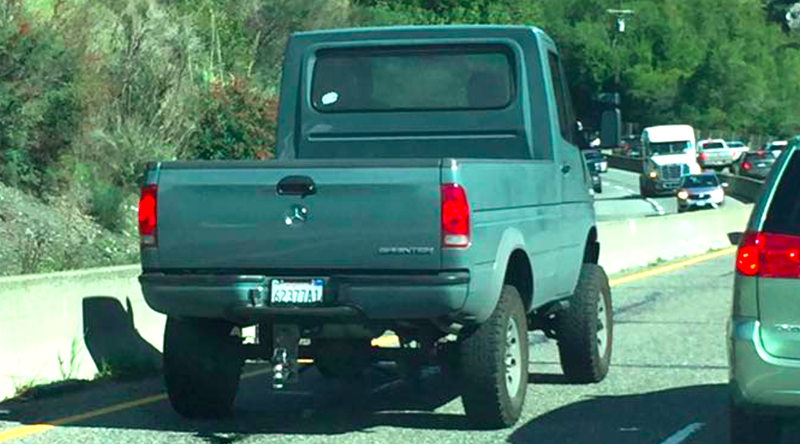 While sitting in traffic on California State Route 17 between Santa Cruz and San Jose, a member of the car enthusiast Facebook group Oppositetalk named Diego Imprenta spotted a bizarre mechanical creature that appears to be some combination of Ford Super Duty and Mercedes Sprinter. “This was interesting!” reads Imprenta’s caption accompanying his photos of the mysterious beast. I agree, this is interesting—mostly because I really don’t know what’s going on here. Clearly, that’s a Ford bed, and I’m thinking the chassis likely comes from a Super Duty, since the image above shows an “inner C” end forging that’s characteristic of a solid front axle, whereas both a Sprinter and an F-150 would have independent front suspensions. Plus, those eight-lug hubs are exactly what you’d find on a Super Duty. And there are of course Sprinter flatbed trucks, but this ain’t it. The powertrain situation has me confused. If this mechanical contraption sits on a Super Duty chassis, like it appears to, it almost certainly has a Super Duty powertrain under the hood. 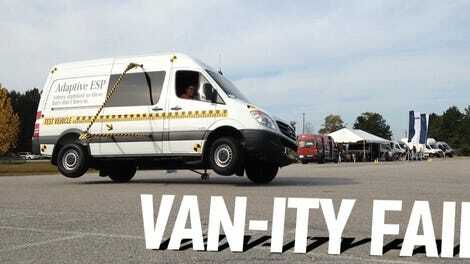 And that brings me to my question: Does the Sprinter even have a big enough engine bay to house that motor? 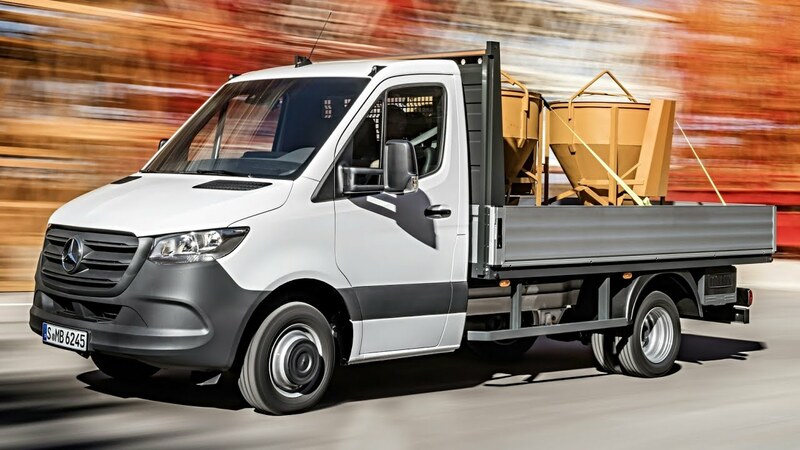 One of the main benefits of the Mercedes/Dodge Sprinter van is that it’s got a short nose, meaning its overall length remains reasonable while the rear area for cargo is fairly substantial. But this also put the stock engine fairly far back into the cab area. You would think that, for any engine to fit in this tight tunnel, it and its accessories would need to have been designed for that packaging environment from the onset. Did whoever built this Super Sprinter really go through all the effort of repackaging the Ford’s engine components to fit into a tight Sprinter engine bay? If so, consider me beyond impressed. Actually, I’ll be impressed even if there’s a tiny Geo Metro engine under the hood, because this thing looks awesome, and in addition to providing the many benefits of a cab over-ish design, the photo above shows a ridiculously high seating position and what looks like decent headroom. It’s strange, but in a good way. Photos below courtesy of Ibis Cycles Inc. The suspension appears to be a custom, long-arm four-link design (plus track bar). You can see where the passenger’s side upper control arms mounts in the photo below, and if you look closely enough, you’ll see another upper control arm just behind the front driveshaft. There are two lower control arms, as well, making this different than a regular 4x4 Super Duty suspension, which includes simply two radius arms and a drag link. The engine situation is still not clear to me. The photo above shows a silver, possibly cast aluminum, fairly shallow oil pan, with the sump facing forward in the vehicle. I don’t know that any Ford Super Duties had front sumps, and it looks like Sprinters did. So I’m now leaning toward the engine being a Sprinter motor—this would also address my concerns about underhood packaging. Update 5:01 P.M. 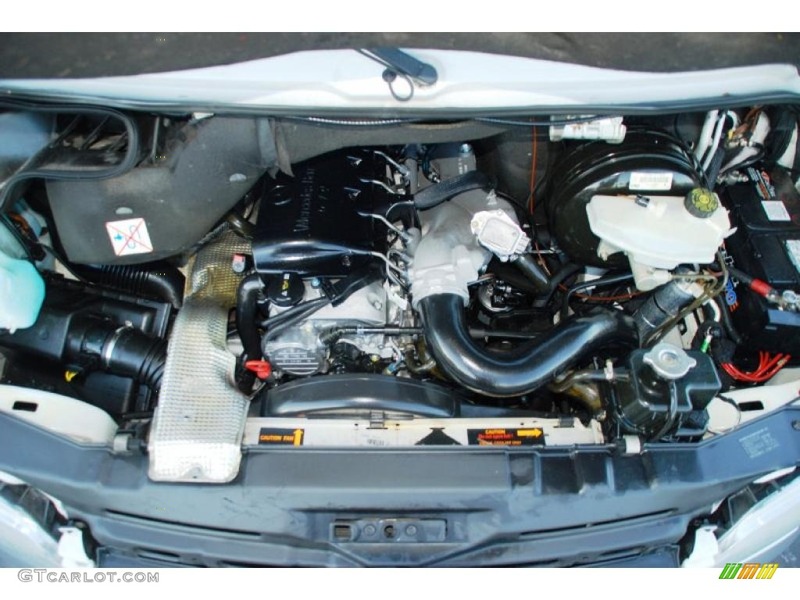 ET: Upon looking at that oil pan a bit longer, this is almost certainly a 2.7-liter five-cylinder turbodiesel like the one shown in this Sprinter in this YouTube clip. Oh Yeah. Super Duty and Sprinter. What Do You Want To Know About The 2017 Ford Super Duty Trucks?